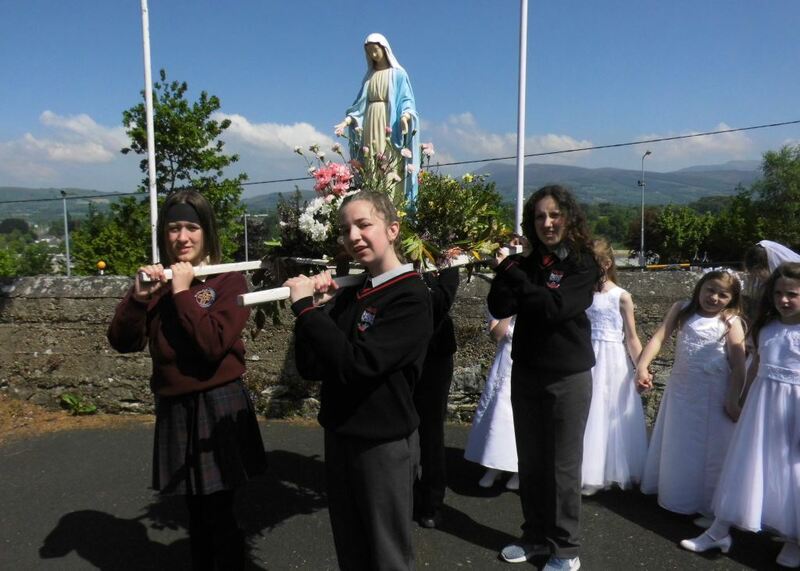 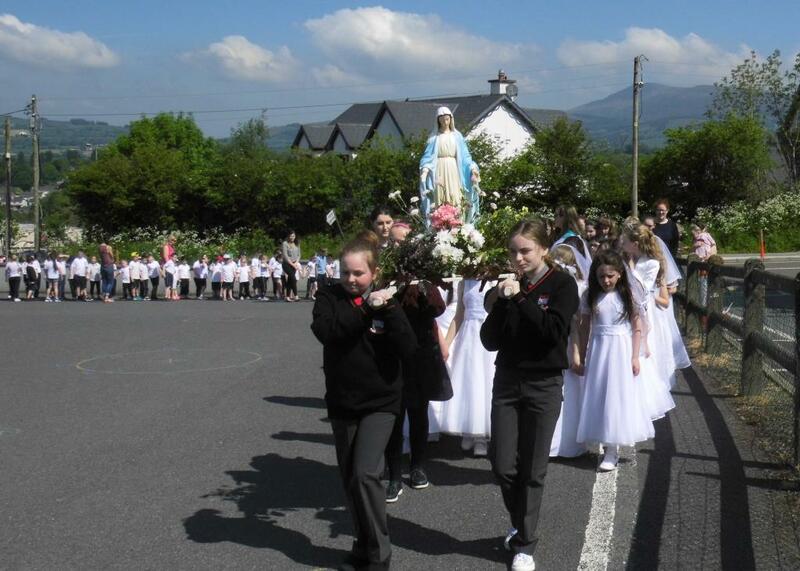 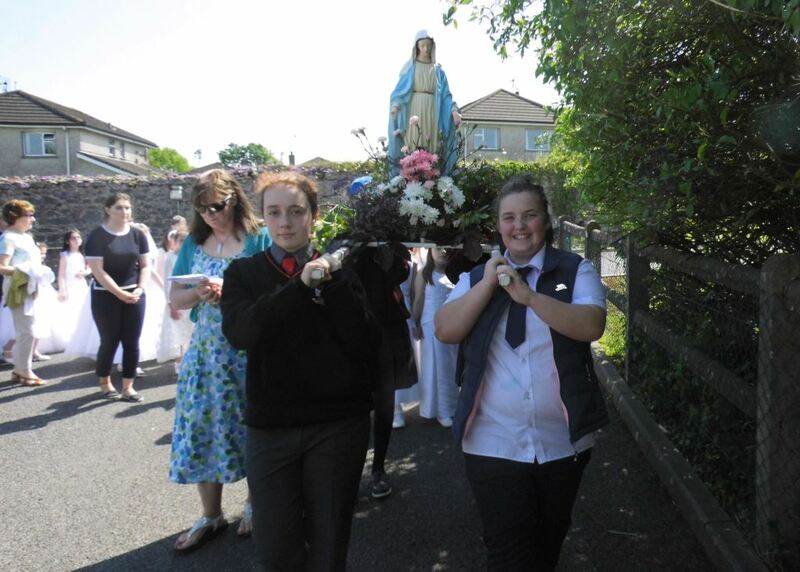 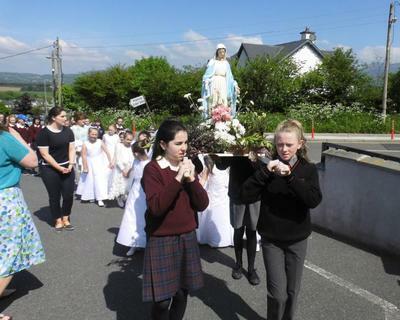 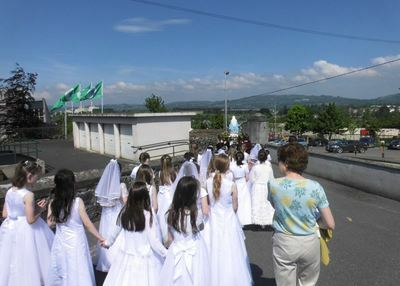 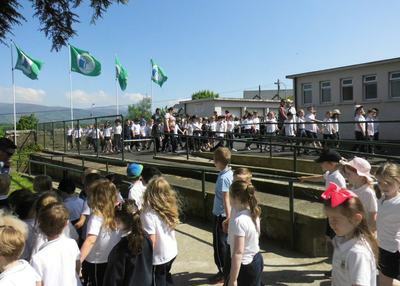 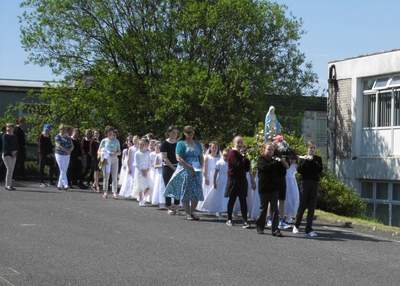 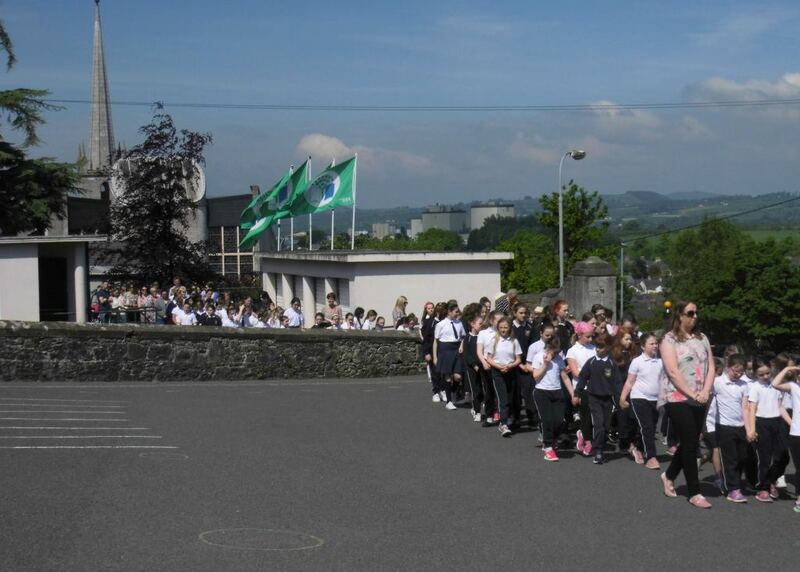 On Friday May 25th everyone gathered in the senior yard for our annual May Procession where we dedicate our school to Mary. 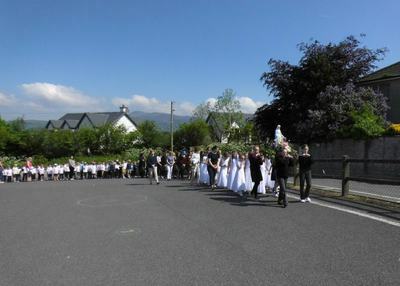 This year, in the glorious sunshine, we were lead in prayer and song by Fr. Gabriel Burke around the Junior Playground and then to the Halla where we crowned Mary as the Queen of our School. 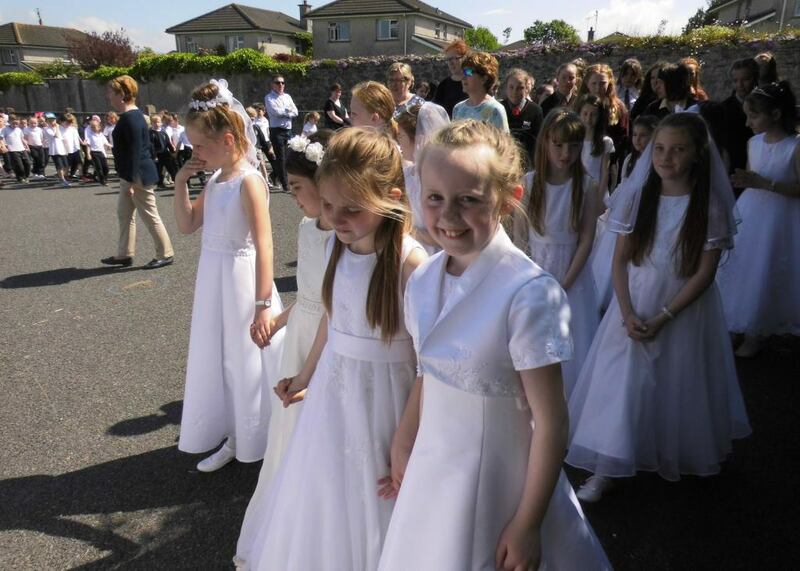 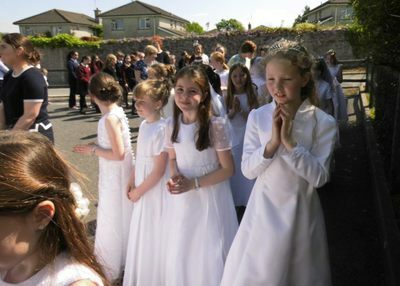 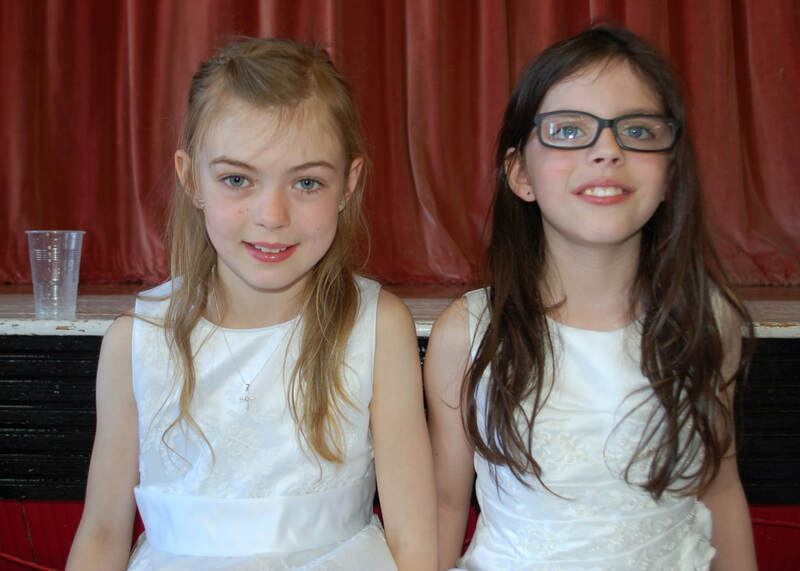 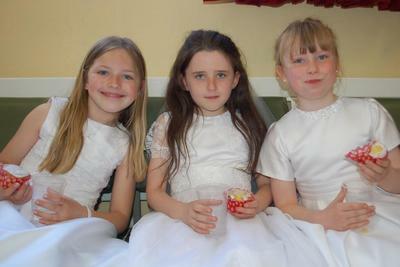 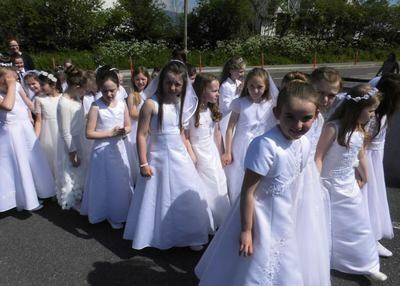 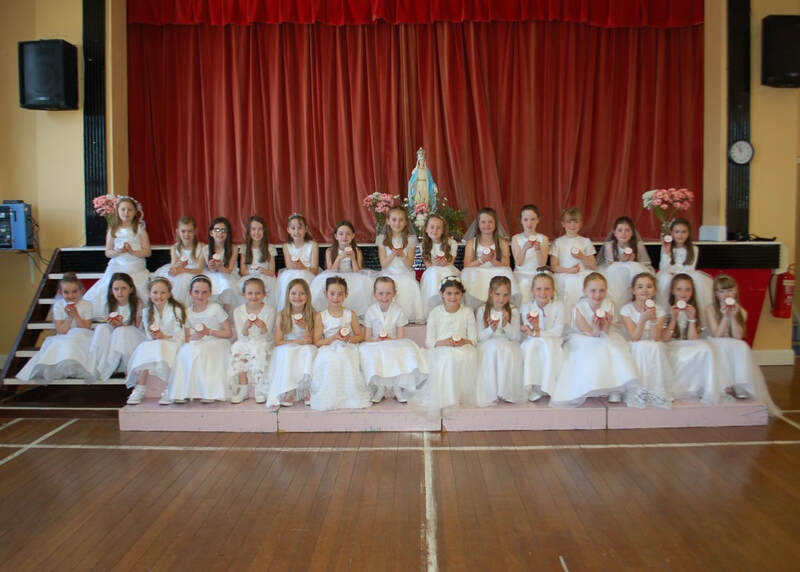 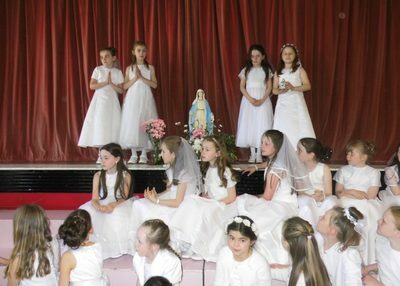 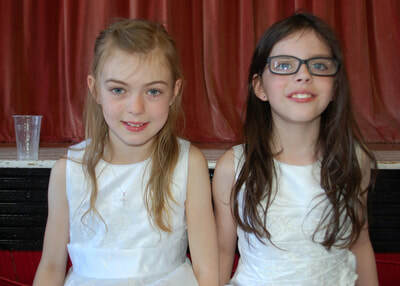 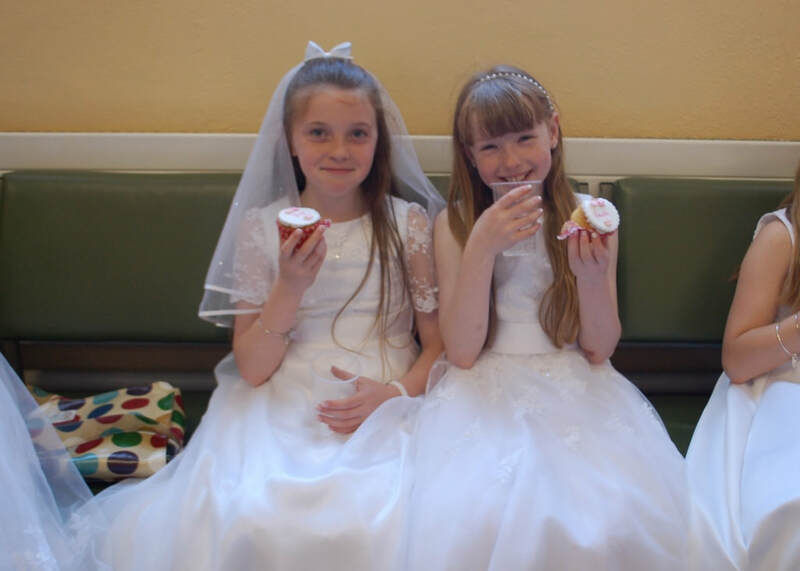 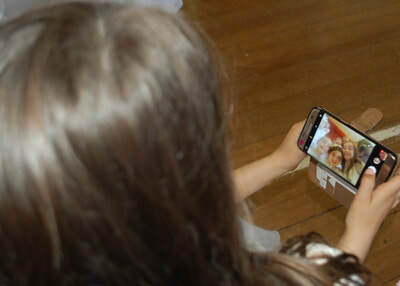 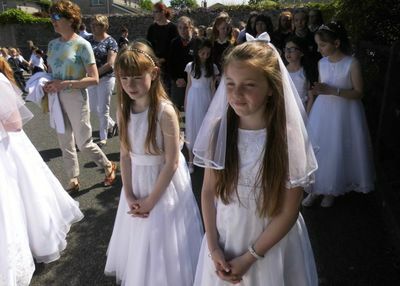 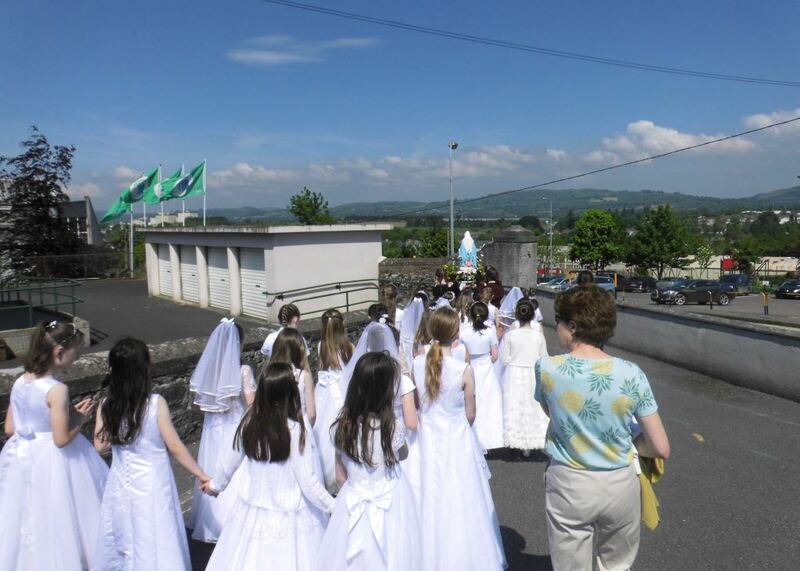 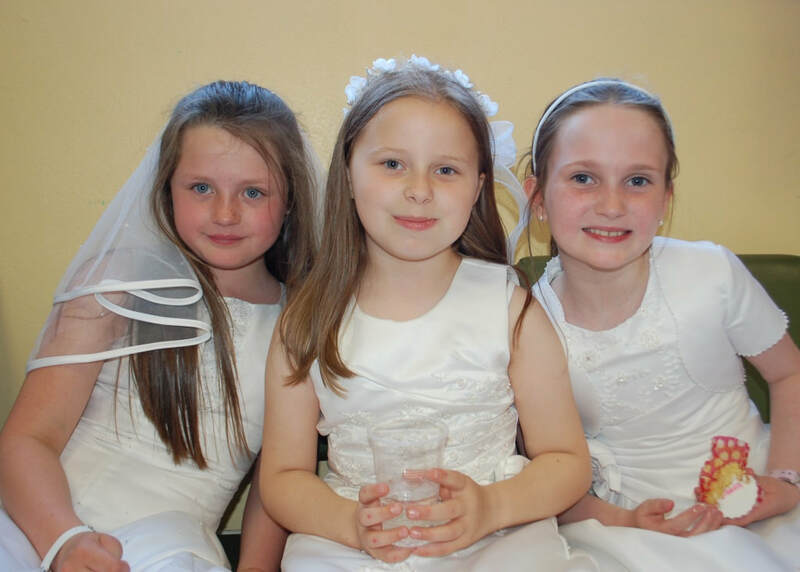 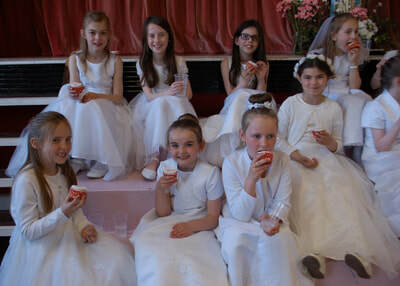 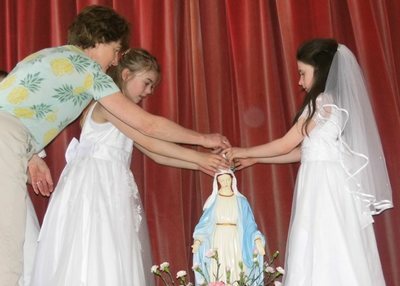 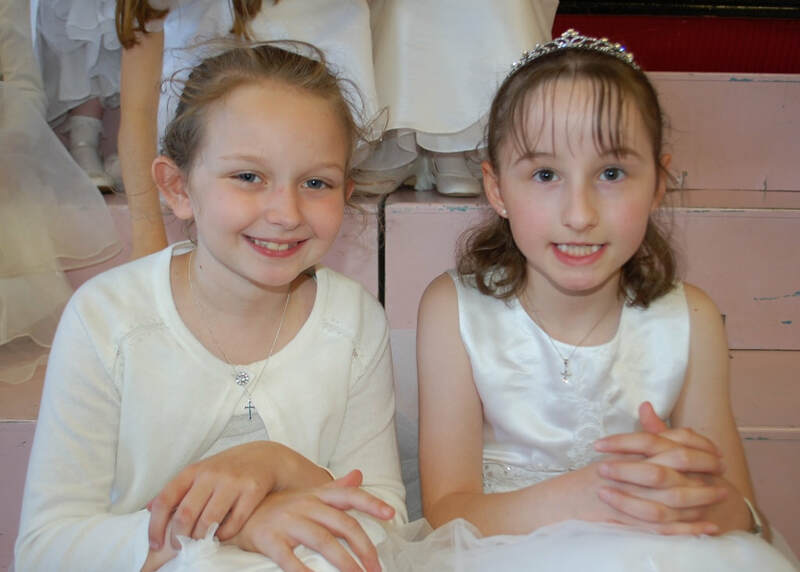 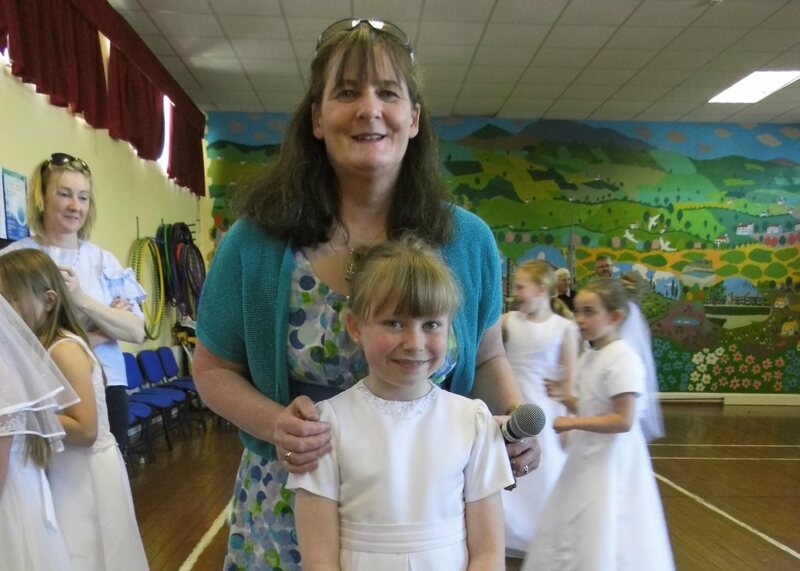 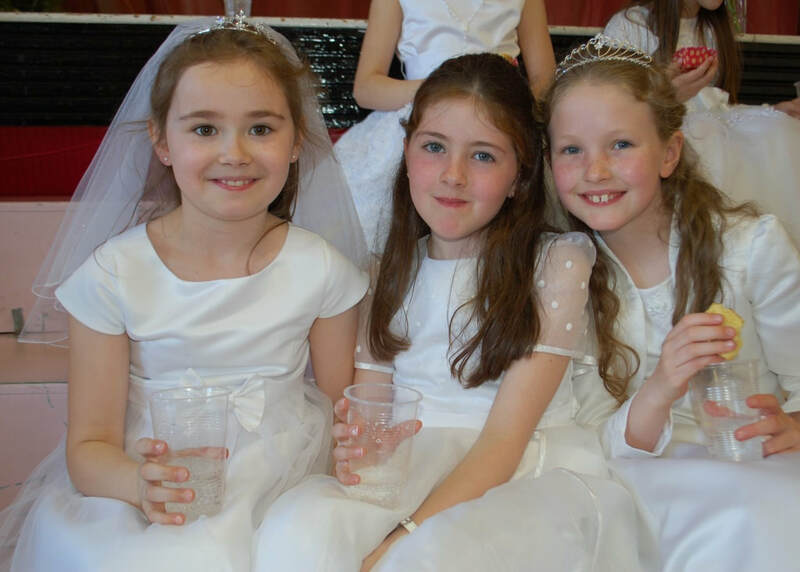 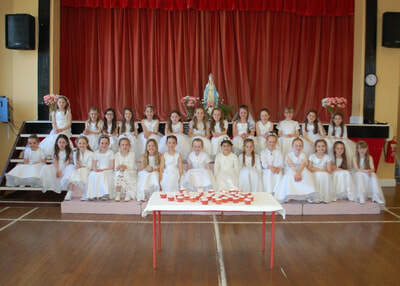 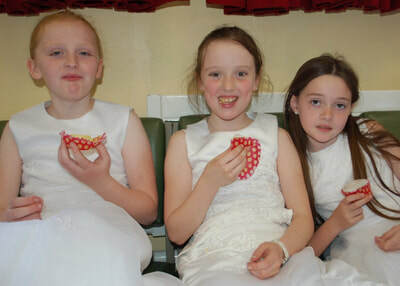 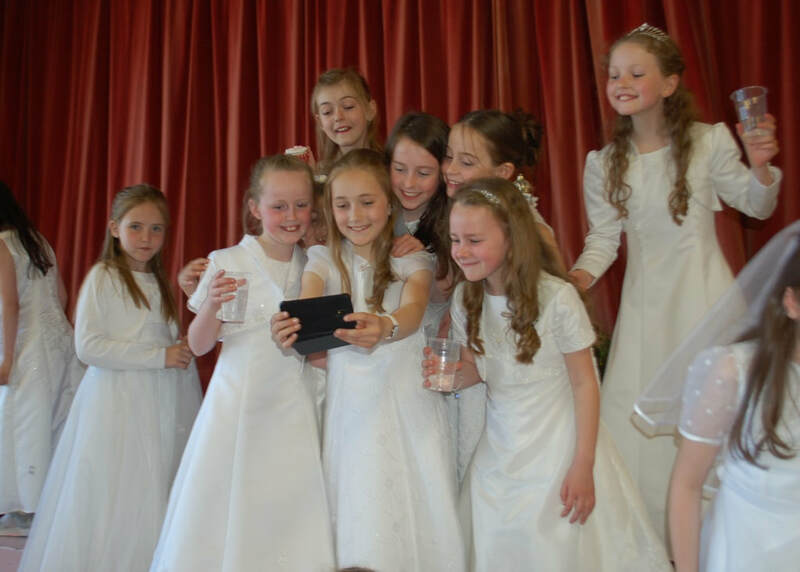 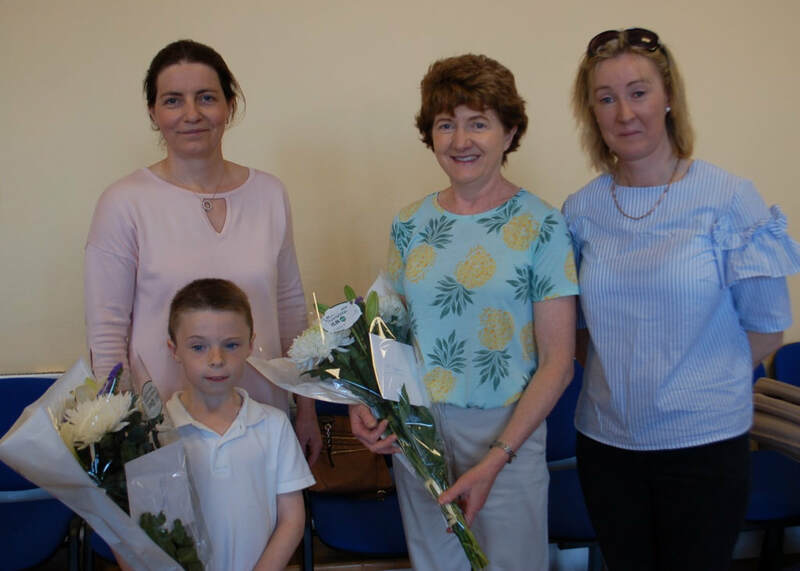 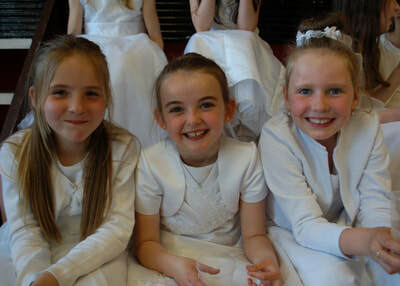 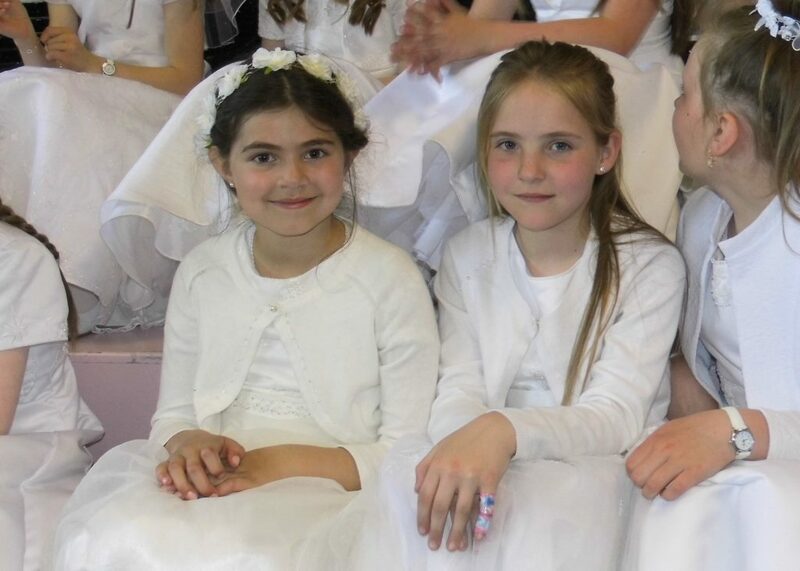 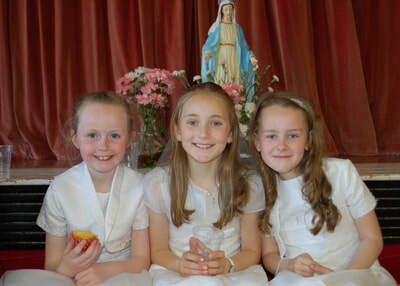 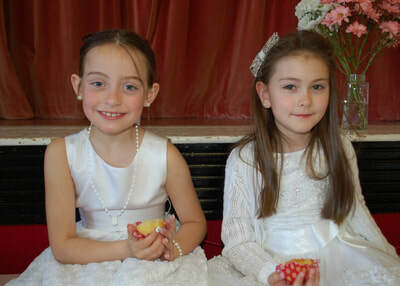 Following the Procession, 2nd class were treated to a special reception in the Halla to mark their First Holy Communion which took place the previous Sunday in the Parish Church. ​Thanks to all the parents who joined us in song and prayer.